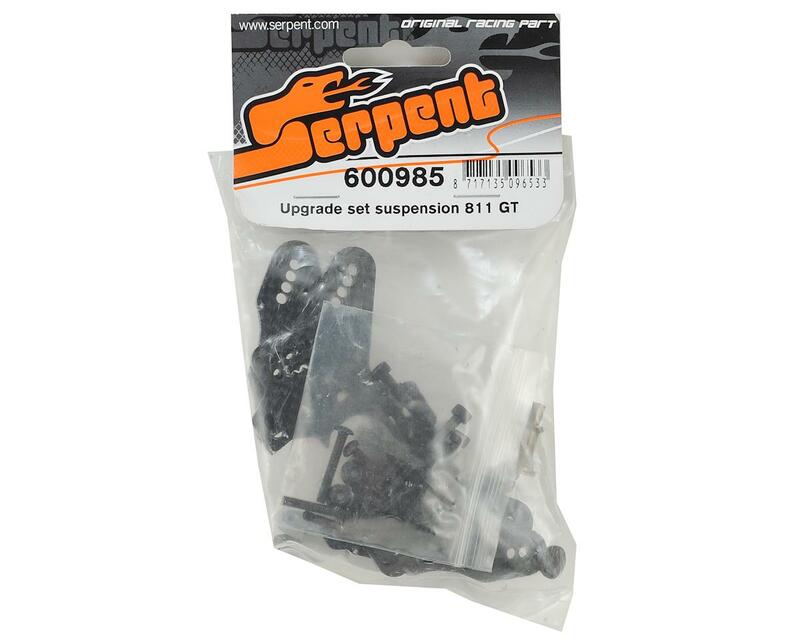 This is the optional Serpent GT Upgrade Suspension Set. 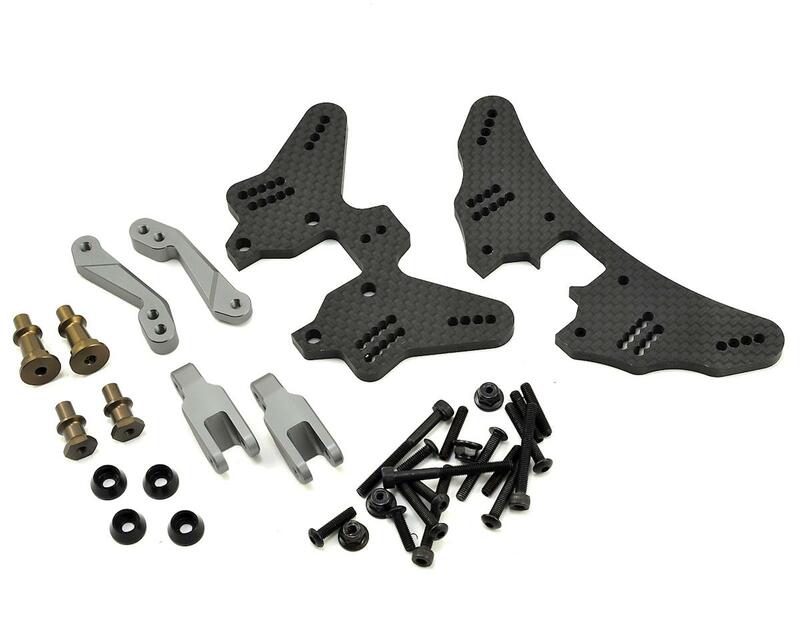 To optimize the geometry of the Cobra GT the design and test team developed rigid carbon fiber shock towers with a large number of holes to set shock angle and adjust roll-center, hard coated aluminum shock stand offs and longer aluminum 7075 T6 lower shock extensions front and rear. The front shock tower has a mounting option for the 3rd front body mount. The changes create a more responsive car, better steering and handling, overall better balance and improved tire wear, resulting in better lap times! The parts are sold in the set SER600985 with hardware as needed, and the parts all sell separate as well.